After a wait, Aerofly FS 2 just released their first chopper ! Oh and you don't know the best : it's FREE ! Don't be fooled, it's not "just a nice model", the physics that goes on this one are said to be the best you can find out there now ! Just read the quotes. 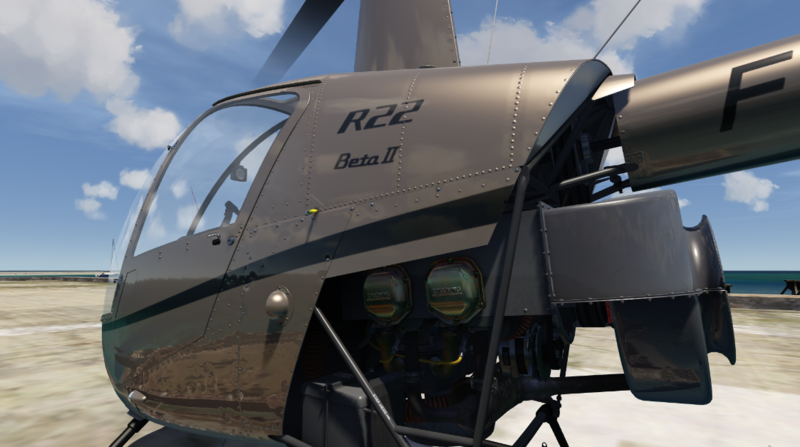 just because the R22 is the first helicopter release for Aerofly FS2 doesn't mean that it will lack quality, quite the opposite actually. The quality and craftsmanship that was put into the development of the R22 surpasses anything ever developed before. 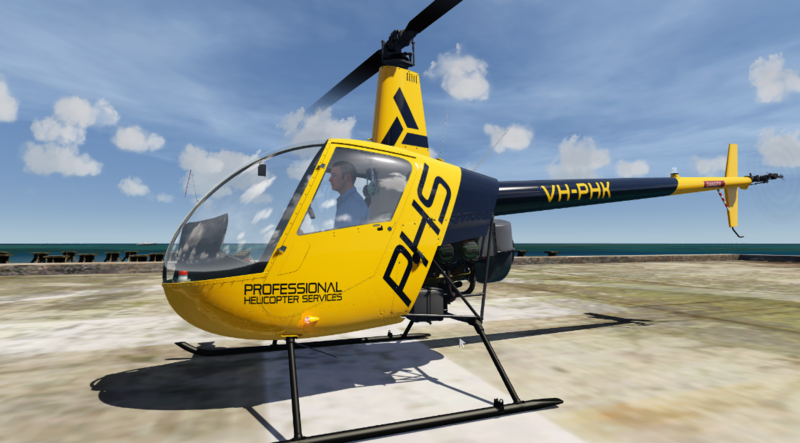 The Robinson R22 also has physics that are so precise you would swear that you were flying the real bird, especially in VR. The Aerofly FS2 R22 was designed with the professional and novice in mind featuring both a beginner mode that provides more stability and balance when you fly allowing you to fly while enjoying the surrounding scenery, and a professional mode that handles just like the real life counterpart. Whichever mode you choose you can be sure that you will have the experience of a lifetime. 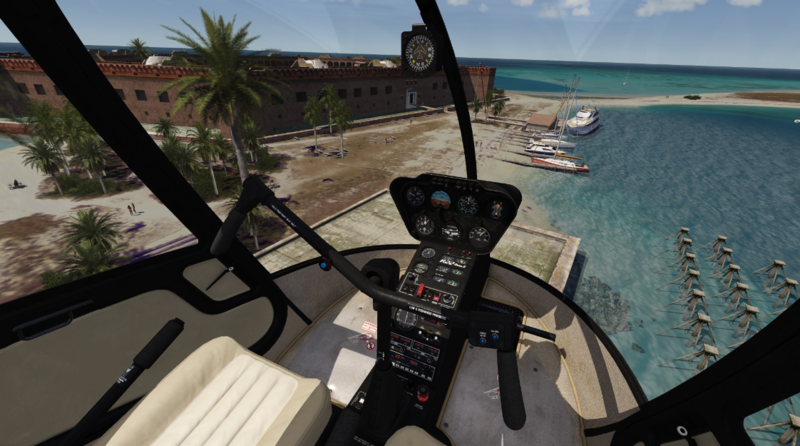 Along with the release of the R22 comes an update which adds new heliports to the mix. You will find many new helipads in various locations on the map. Two of these new locations, Fort Jefferson at the Dry Tortugas, Florida and the Downtown Manhattan Heliport, New York are two examples that truly complement this new addition. Also in this update we have made further improvements, including the addition of San Francisco and Bay Area now being cultivated with nearly 1.4 million houses, trees and street lights.